The season for dents and dings. Posted in Defensive Driving Blog | Comments Off on The season for dents and dings. CHRISTMAS CAUSES AUTO ACCIDENTS? WELL, PISH POSH! How could this be? How could the season of joy and merriment also be the season of dents and dings? I think we all know how frustrating it can be to drive around the holidays but several studies have shown that two of the four deadliest days on the road every year are December 23rd and 24th (July 3rd and 4th are the two deadliest). So how do holiday drivers get to this point? Let’s take a look. *Drinking and driving. The National Center for Statistics and Analysis reported that about 40% of all fatalities during the Christmas holidays involve alcohol impairment. Of all the times to watch how much we drink, this is one of the biggest. Plan ahead to not be driving. *Stress. The Holidays can be an exceptionally stressful time, especially close to Christmas Day. People running around trying to finish up shopping and sitting in traffic for long periods of time can try the patience of anyone. Impatience can lead to poor driving decisions or road rage. Calm down, give yourself more time to get things done and stay off the roads during the last couple of days before Christmas. * Poor vehicle maintenance. Believe it or not people put off important auto maintenance until after the New Year in order to have more money for Christmas. This can cause a number of problems, including breaking down and becoming a liability on the side of the road. Give a gift to yourself and get that work done before the holidays. Plan ahead seems to be the answer to many of the issues related to Christmas holiday auto accidents. Remember that parking lots will be full so go early and give yourself time to park farther away and walk. Arrange that taxi or Uber on nights you know the partying will be excessive (check out this site drinkinganddriving.org/designated-driver-services). Get your shopping done before those final days and stay off the crowded roads when they become the most dangerous. And always make sure your car maintenance is up to date. 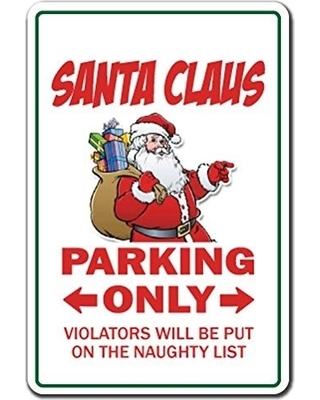 And if you should happen to get a ticket during this holiday season, treat yourself to a candy cane and be sure to log into WirelessDefensiveDriving.com.